Start with thinking outside the box. I’m going to show you a little bank loophole you wish you knew about years ago. That’s right. I said 60% interest. Yes, there’s a catch. You can only make the 60% interest on $400. But hey, 60% annual interest on $400 is still going to earn you an extra $240 a year – risk free. AND there’s virtually no time or effort attached to it after the initial set up. So where do you get it and how is it done? Go to Santander Bank’s website: www.santanderbank.com. If you live anywhere near me (Tulsa, OK) then you’re out of luck on a local branch, but for this purpose you don’t need a local branch anyways. 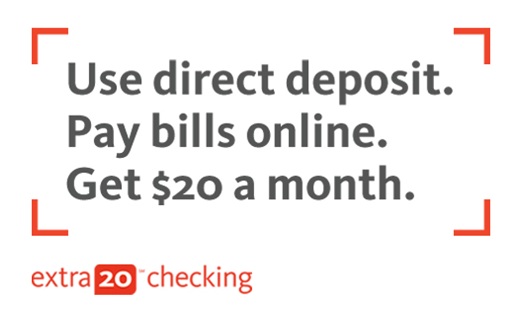 The bank will credit you $20 each month into the savings account after the statement closes. I’ve had the extra20 package since early 2015. It works exactly as advertised. About an hour of time for the initial set up. Open the Santander extra20 checking and savings account package following the online instructions on Santander’s website. You’ll need to send in identification documents and wait for three letters to arrive in the mail. The first letter will have your account numbers. The second letter will have your first time login ID when you register for online banking. The third letter will have your temporary password. Once you have all three letters, register for online banking. Set up a recurring $10 transfer from your extra20 savings account unto your extra20 checking account to cover the two recurring $5 payments you set up in step 4. Now you’re making an extra $240 in passive income each year on a revolving $400 between two bank accounts. Thank you! I do have to apologize though as I believe this account with Santander is no longer offered. I should have some more updated posts soon! Where’s all that Free Camping at?